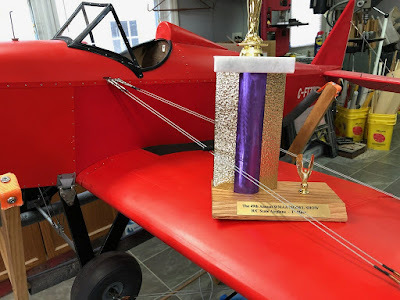 Mad River Flying Association: Congratulations! Richard Kaczmarek, our association president, won first place in the R/C scale airplane category at the 49th Westerville Model Aeronautics Association model show this past weekend. The 1/3 scale Fly Baby is powered by a 50cc Fuji gas engine. If you haven't seen one of the planes he has built, be assured that he is a true craftsman. The plane incorporates numerous scratch-built features, and is a true representation of the prototype.